Deputy Foreign Minister tells Conference of Presidents: Two-state solution “impossible”, the Palestinians want Israel not to exist. “The Palestinians are not interested in a state, they want Israel not to exist and that is their main goal,” she said. “We need to delete the word ‘occupation’ and we need to redefine the term ‘refugee’, they are the fourth generation but their parents are handing them keys to refugee camps,” added Hotovely. The Deputy Minister praised the new U.S. Ambassador to the United Nations Nikki Haley’s recent speech in which she asked why the UN obsesses over Israel. “This is the spirit the Prime Minister hopes from Washington,” said Hotovely. Pointing to Israel’s housing crisis, the Deputy Minister said the young generation needs to build homes in Judea and Samaria. “Definitely, in the era of Trump we should be able to build in these regions, this is not an on obstacle to peace,” she pointed out. Asked about the possibility of the U.S. Embassy in Israel moving to Jerusalem, Hotovely said there is nothing that would make her happier. 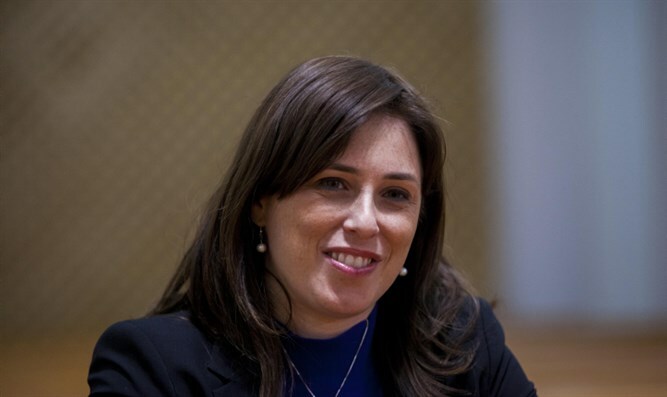 Hotovely’s comments on the two-state solution come one week after President Donald Trump’s comments at a joint press conference with Prime Minister Binyamin Netanyahu, in which he would not commit to the two-state solution as the only way to solve the conflict. Haley later tempered this stance, saying Washington "absolutely" supports a two-state solution but wants new ideas on how to move forward. “Anybody that wants to say the United States does not support the two-state solution, that would be an error. We absolutely support a two-state solution, but we are thinking out-of-the-box as well," she said. On Sunday, Malcolm Hoenlein, executive vice chairman of the Conference of Presidents, echoed Haley’s statement. "The Prime Minister spoke of the two-state solution, Nikki Haley spoke again about a two-state solution, the President said he's for it but they're open to out-of-the-box thinking. And probably that is the answer, that we need out-of-the-box thinking and not just these trite terms,” he said. "Two-state, one-state, half a state, three-quarters of a state - that's not the issue... We want to see a negotiated solution, we want to see Israel live in peace with its neighbors, we want to see Israel secured for the long-term future, not short-term, and that any deal that Israel makes has to take that into account,” added Hoenlein.